Congratulations to Donna Earnhardt who won a copy of OOPHAR THE BLUE from last week's blog. 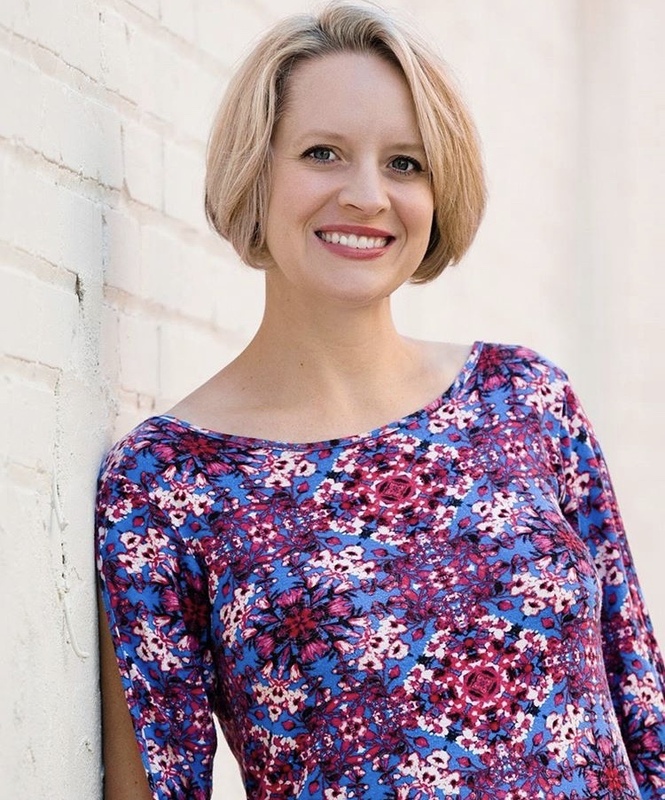 After graduating from college, Laura King Edwards has it all: a great job in marketing, a loving family, a new husband, and a house in her hometown of Charlotte, where she can watch her seven-year- old sister Taylor grow up. But one month after her wedding, Edwards and her family receive shocking news: Taylor has Batten disease. A rare, fatal, genetic disease that will cause Taylor to go blind, suffer seizures, and lose the ability to walk and talk. There is no cure. Edwards thought she’d get to watch her baby sister grow up, but instead she’ll get to watch her die. Unwilling to take “there is no cure” for an answer, Edwards founds a charity with family and friends, Taylor’s Tale, to save children with the disease. Meanwhile, Taylor starts running with Girls on the Run, completing her first 5K race blind with the help of a sighted guide. Inspired, Edwards, a lifelong runner, begins running in half marathons to raise money and awareness. And to run away from the pain. 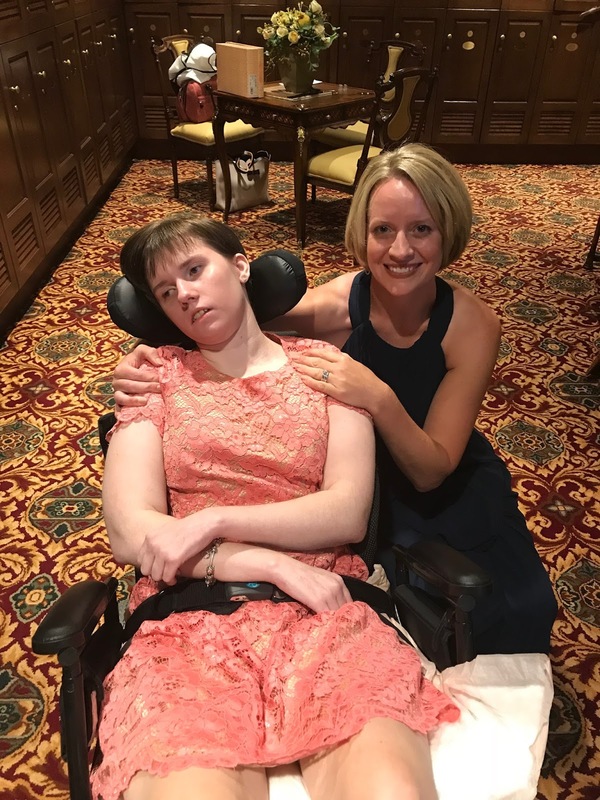 Taylor’s Tale becomes the world leader in the fight against Taylor’s form of Batten disease, but the charity can’t work quickly enough to save Taylor. Stripped of her faith, Edwards falls into a dark despair. But Taylor’s unwavering courage in the face of certain death gives Edwards a renewed sense of purpose to turn her family’s tragedy into an opportunity—to ensure others won’t have to suffer, as her sister has suffered. Run to the Light is Edwards’s inspiring account of how she found the courage to face indescribable loss, and of what it means to really believe. Can you please share a little about Taylor and your journey? I was 16 when Taylor was born. I already had an 11-year-old brother and didn’t want anything to do with a baby sister. But the moment I met Taylor, I fell in love. My sister was beautiful, energetic, smart and healthy — perfect in every way. When I was in college, I used to come home from Chapel Hill on the weekends to spend time with her. But when she was about 7, she started losing her vision and struggling in school. When Taylor was diagnosed with infantile Batten disease my world was shattered. But for the next decade-plus, Taylor’s resiliency inspired me to fight like a bulldog to save her life and those of others like her. Tell us about your memoir, Run to the Light. I wrote hundreds of short stories before I studied fiction writing in college, but I never planned to write a memoir. In 2006, I was a recent graduate working on a young adult novel when Taylor was diagnosed with Batten disease. 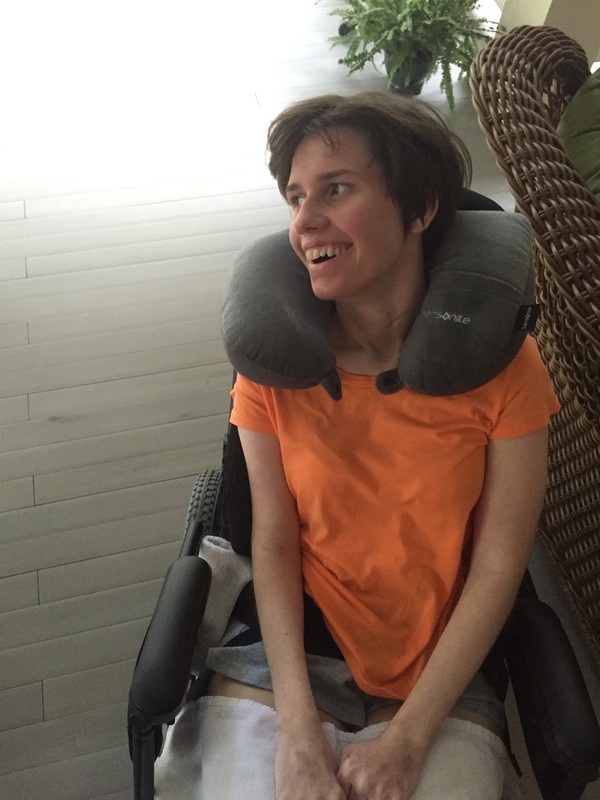 My once-healthy sister lost her vision, and her ability to walk, talk, and swallow food. She suffers from seizures and will lose her life at a young age. Yet Taylor always showed the rest of us how to be brave. Not long after the diagnosis, Taylor’s Tale become the world’s leading charity in the fight against infantile Batten disease, championing historic legislation and groundbreaking, potentially lifesaving research. Despite our success, I’ve struggled at times to accept the fact that I still have to watch my little sister die. I wrote Run to the Light after going through a particularly rough time. In 2013, as Taylor fell deeper into the rabbit hole, I lost my will to move forward or my ability to believe in anything good. Then one day, I realized that to survive, I had to learn to “see” the world like Taylor, who never faced her illness with anything less than courage. For five months, I trained to become a “blind” runner. That fall, I returned to the same course where my sister ran her first race and completed the half marathon – blindfolded. Run to the Light isn’t about Batten disease. It isn’t even about running. Instead, Run to the Light is about how to believe, even if “believe” doesn’t mean what you once thought. It’s about turning a loss into a legacy. I wrote this book as a love letter to my little sister and to raise awareness of Batten disease. But I hope it also serves as a testament to the strength of the human spirit. I hope it helps readers find the courage to face whatever they’re fighting in their own lives. How did running blindfolded help you write the book? Before I ran blindfolded, I was at such a low point that I wasn’t just worried about my sister’s survival — I was also worried about my own. It was difficult to wake up each day and find joy or even interest in anything when I knew my once vibrant, healthy sister was dying. When I ran “blind,” I had to rely much more on all of my other senses — hearing, touch, smell and even taste (when I ran blindfolded, I could tell a storm was coming by the taste of the breeze). This new perspective helped me recognize the good in a bad situation, too. Running blindfolded gave me the will to survive and energized me to capture and share my sister’s amazing story beyond blog posts, social media and public talks. Not long after the race ended, I knew I wanted to write this book. Do you have any recommendations to other writers who think about writing a story that is close to their heart? If you feel called to share your personal story, don’t hesitate. Focus on getting the words on paper rather than worrying about where the project is headed or if other people will want to read it. True stories have a life of their own, sometimes even more than fictional ones. Let go of all of your inhibitions, and just write. Now for the drum roll.... here is the cover! in Myers Park off Queens Road West, the site of one of the last scenes in the book. Run to the Light is coming out November, 2018. I'll be reviewing Laura's book on my blog in the fall. Leave your name and email address and I'll start a giveaway list now. Leave it again when I review the book and your name will be entered twice. Hooray for three of my favorite people: Thanks Carol for featuring Laura's wonderful book and cover, and thanks Laura for being such an inspiration, and thanks to Taylor for continuing to fight the good fight. Oh my! This sounds heart-wrenching but oh so heartwarming! I look forward to learning more about Taylor's story. Remarkable, heartwarming and inspiring story! I'll look forward to your review this fall. Thanks Connie and Melodye, and LInda for introducing Laura and I. You're all in. This book sounds like a beautiful tribute to your sister. The cover is perfect. Congratulations on getting Taylor's and your story out into the world! Thanks Jilanne for your comment. You're name is in the hat! The cover is perfect and so is the title. What a brave and loving big sister you are. Thank you, Barbara. I agree! This sounds like a wonderful tribute to your sister - congratulations on turning this important story into a book! Thanks, Viviane. I'll add your name to the list. Thanks so much to everyone for your interest and kind words, and thanks to Carol for featuring me. 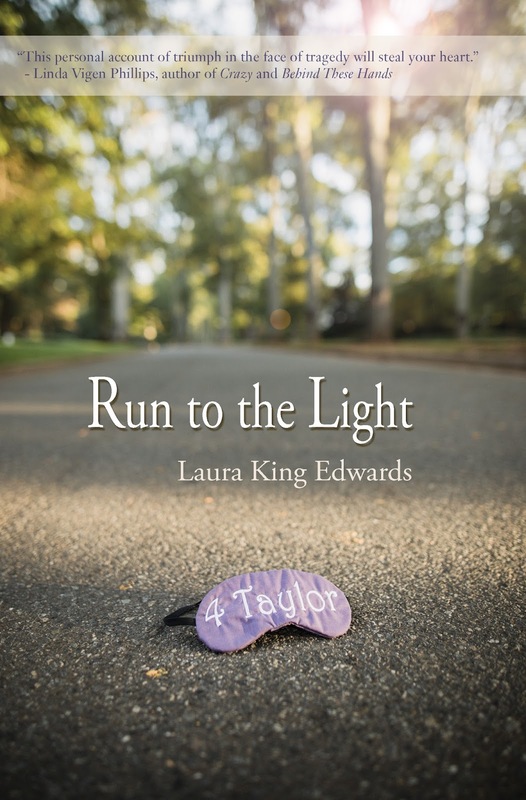 If you're on Goodreads, you can add Run to the Light to your "Want to Read" list. I believe in this story and can't wait to share it in November! Thanks to everyone for your interest and kind words, and thanks for Carol for featuring me. If you're on Goodreads, you can also add Run to the Light to your "Want to Read" list. I can't wait to share this book with the world! This sounds like a very moving, inspiring book. Thanks for telling me about this and about her journey. I will pass on the giveaway. My family also has a Battens child. It took a year for her diagnosis and we've seen Olivia loose sight, mobility, communication, and the hardest to deal with besides the ravaging of her body is her sweet spirit and smiles. Occasionally we can get a smile but they are rare. We pray for a cure for all Batten families and children. Hopefully Laura's book will help others understand. Congrats on the book. Awesome post about this book and its touching backstory about Taylor, Carol. It certainly puts life in perspective for me. Laura, thanks for sharing your journey with Taylor. I also appreciate your advice to just keep writing that non-fiction tale close to your heart and will “Run to the Light” to my GR’s shelf. All the best with your book and life journey -:D.
Thank you Cat and Deborah. Deborah--you certainly know the pain that Laura and her family are experiencing. Boy Bites Bug: A Review and an E-Book Giveaway!